Convert Poa greens to bentgrass: Not a time to delay! New Greens Seeding: Bentgrass Collars Dying? Pressure to do less aerification and topdressing? Having observed the actions of Greens Committees for decades the following are my observations and suggestions. All who serve in the best interest of the golf club should reflect on the following and try to incorporate these points into their own commentary. 1. Golfers / members expectations vs the reality of golf course budgets. As water seeks its own level in a pond, how your golf course looks and plays is in great part what your budget expenditures have been over the past ten to twenty years. It is obvious that watching TV golf creates course conditioning expectations that only a small percentage of courses can achieve. Each week, when the PGA golf tour comes to a city, the course hosting the tournament has the benefit of having hundreds of volunteers to assist with course preparation and tournament operations. During tournament week at a PGA event course there are typically 20 to 50 volunteers assisting the golf course superintendent to mow greens, tees, fairways, and roughs; rake bunkers; change cups; etc. These are not just any volunteers, but seasoned golf course maintenance professionals who lend their time, with no pay, to support the host golf course superintendent. For majors (i.e., The Masters, US Open, PGA, US Amateur), some 75 to 125 professional golf course maintenance volunteers will support the course crew for the tournament week. Again, most or all working for no pay. Add to this the equipment that is "loaned" to the club for the week to allow for extra mowing and maintenance duties necessary for conducting a major event. It is brutally unfair for golfers and members to relate what they see on TV to what they experience at their home golf course. 2. Please, do not compare other golf courses to yours! It is important to fully understand who you are -- meaning the golf club -- and the advantages or limitations of your golf course. Start with overall management performance, including the Greens Committee and the Board activity over the years. Most importantly, you need to understand how multiple factors may affect growing good turf: varying soil types, soil and surface drainage, local and regional microclimates, a site with abundant trees compared to no trees, the affects of excessive shade and poor air circulation, to name a few. Add to this a club's financial resources, long term capital and operating budgets, age of the course, and architectural design. All of the above points make golf course comparisons counterproductive to your club's overall situation. Your golf course condition and playability is what it is for a reason and has no relation to other golf courses. 3. Select aerification dates first -- prior to making the golf event calendar for the upcomming year. Let's be honest ... golfers do not like the aerification process and try hard to minimize how many times a year aerifications will take place. Superintendents who are intimidated by the criticism often take the easy road and eliminate or minimize aerifications. The aerifiation process is critical for healthy turf. Greens that have no or limited issues (i.e., thatch, soil layers, good soil drainage) may be aerified two times a year. Greens that have issues require three up to six aerifications per year to solve problems. My recommendation is for the superintendent to advise the Greens Committee how many times a year the aerification process should be planned. Working with the calendar, the golf course superintendent and Greens Commitee should agree on the best dates. Then and only then should golf events, outings, and tournament dates be discussed in conjunction with the Golf Committee and golf professional. If there are conflicts with dates, all should agree on a compromise that does not affect the long term program for golf course maintenance. Simply reducing or eliminating aerifications does not solve problems, but in fact increases the probability that course conditions will be negatively impacted at some point in the future. 4. Pushing for green speeds all the time may kill. For day to day course set up, green speeds of 10 can be attained without undue wear and tear to a green. For a member-guest, member-member, state, regional, or national tournament, green speeds in the range of 11 to 13 may be attained for the event. This will require lower mowing height, rolling two or more times a day, and possibly double cutting of the greens. For the health of a green, after a major tournament it is wise to back off trying to attain high green speeds for any lenght of time. Just like an athlete, a golf course, most importantly the greens, requires a rest after pushing maintenace procedures to excessive levels (extremely low mowing of greens, rolling every day, and double cutting). Continuing to push for more green speed all the time can be deadly! 5. Greens located next to trees / shade is a bad combination. I love trees as much as I love turf and golf courses. However, you will never have your best conditioned greens in a location that does not provide a minimum of four to five hours of direct sunlight to a green - morning sun being preferred to afternoon sun. Also, you need to recognize the amount of sun reaching the surface of a green will change with the seasons as the angle of the sun changes throughout the year. Additionally, trees surrounding a green site will create a dead air condition resulting in higher air and soil temperatures in summer. Excessive shade and poor air circulation make for poor growing conditions and poor putting surfaces. Sometimes you just need to accept that you have to choose: do you want to improve the turf on a green, or do you want to keep the trees. You cannot have both. 6. Rarely do you find good greens that drain poorly. Soil oxygen is critical for healthy turf. Soils that do not drain well and hold excessive soil moisture will make it hard to produce good turf during the summer heat. 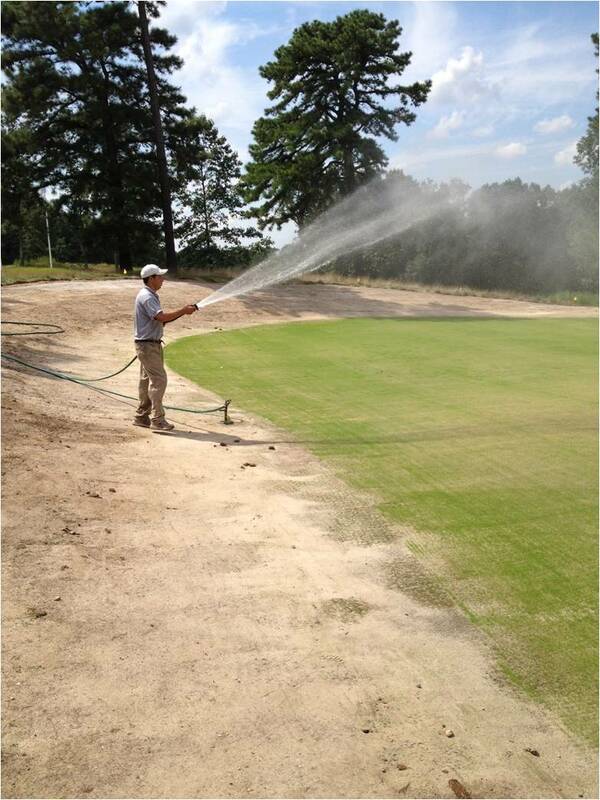 Improving a poorly drained green will make the superintendent's job easier. XGD and wicking rope drainage systems, once installed, have greatly improved soil drainage, mostly on old push up greens. 7. The twenty year itch and capital expenditures -- "rejuvinate, repair, renovate or replace" -- relates to irrigation, greens resurfacing, tees, fairways, bunkers, drainage, and cart paths. The Greens Committee and Board must prepare for major capital expenditures as infrastructure and playing surfaces age. The reality is the majority of golf clubs are ill prepared to address the planned capital needs for long term improvements to a golf course. It is not uncommon for golf clubs to fail due to poor planning and misappropriation of funds to pet projects. 8. Continuity of programs and procedures is critical for success. Develop a plan for the short and long term maintenance of the golf course and have the Greens Commitee and Board buy into the plan. Changing direction and modifying plans can misdirect resources and encourage knee jerk reactions and spontanious projects to appear. Few members can look back and say that their club has followed a well planned continuous program for any lenght of time. Lack of continuity with respect to a golf course maintenance program has, from my experience, been a prime reason for less than desirable results. 9. Effective and continued communication with the membership, outlining golf course planning, issues, and projects. If you do not explain and sell your plans to the membership, how do you expect them to support and understand your decisions. 10. Respect your superintendent's knowledge and experience. I often hear outspoken and misdirected second guessing of the golf course superintendent by members, Greens Committees and Boards relating to varied and all aspects of course conditioning: green speed, foot prints and spike marks, divots, bunker sand, mowing heights, etc. It is true that there are genuine situations when the superintendent must listen and reflect on what the golfers and members are saying about course conditons. However, in many cases these complaints are made by golfers and members who do not understand the reasons why their requests are hard to achieve. Please reflect on points 1 - 9 above. 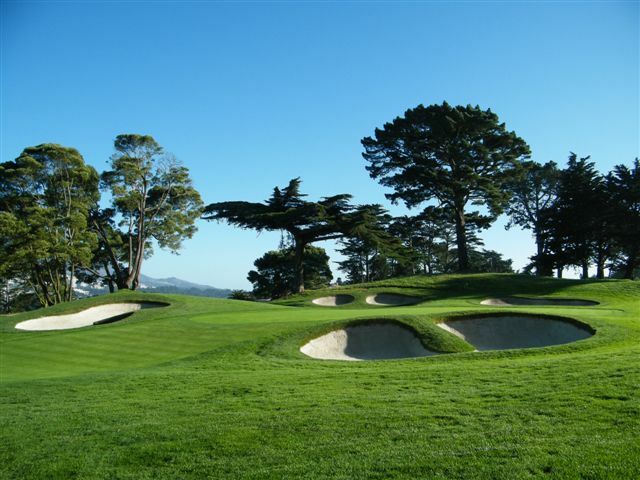 Maintaining and improving a golf course takes insight, both long and short range planning, and considerable funding, both operating and capital budgets. Recently there are many examles of golf courses that have been totally renovated including re grassing greens, tees, fairways, and rough. With the availability of new strains of bentgrass that vastly outperform Poa annua on greens, greens renovation projects have become popular. Some courses with old push up greens, native soil, elect to totally rebuild green sites with sand based USGA method green consruction. Successful greens renovation projects allow superintendents to produce a quality putting surface with less risk of summer heat stress decline. If greens reovation projects are planned properly a resurfacing from Poa to bent may take place in three monhs. There is an example of a golf course in Washigton DC that closed 18 greens in early August and re opened in mid October after a Poa to bent conversion. Copyright 2013 R.H. Hurley, LLC. All rights reserved.